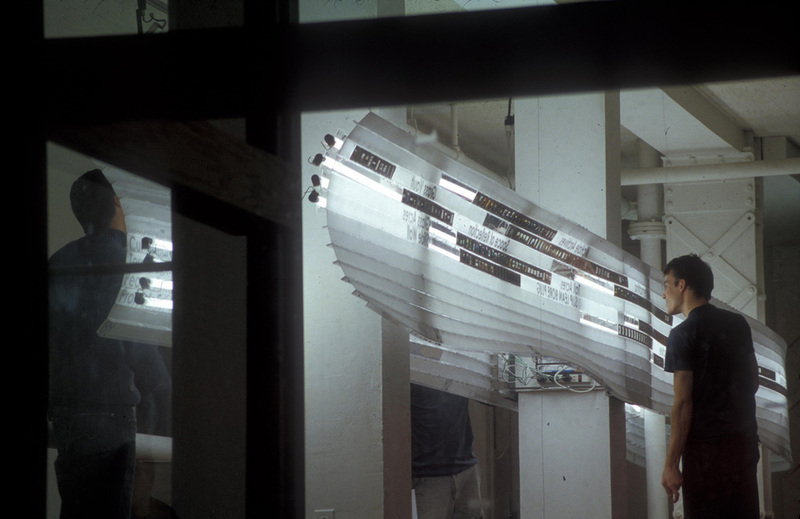 A solo installation/exhibition at the Architecture Gallery at the Rhode Island School of Design. 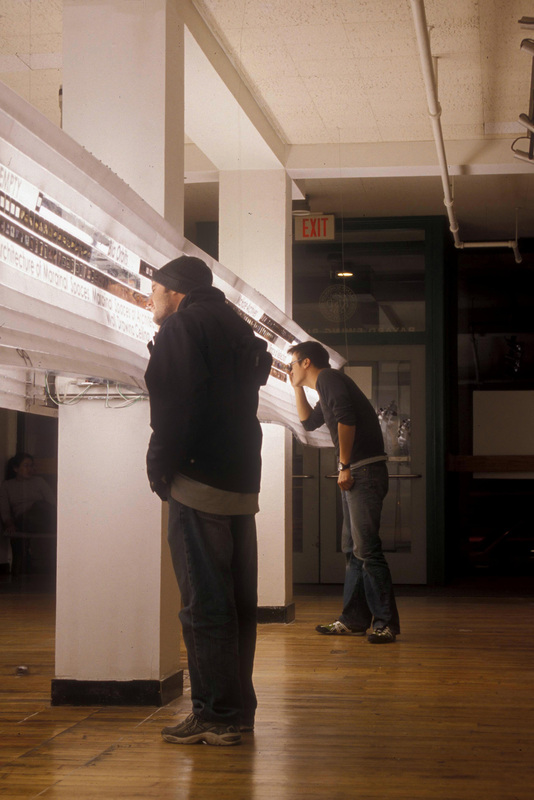 An exhibition of projects completed 1989-2004 in slide-format, creates a 64’ long light table turned vertical to create a slide wall. 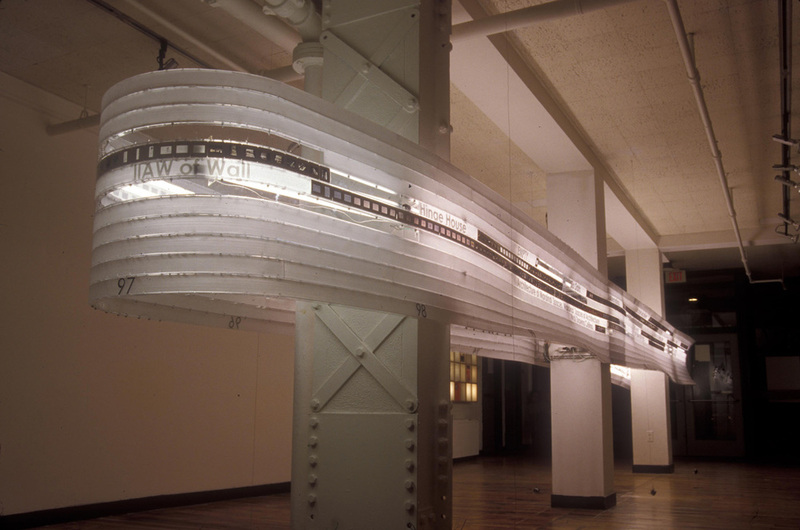 The wall is fabricated from Polyethylene sheets, formed into channels, and plastic welded together to create a 32’ long beam that cantilevered from a central column in the gallery and re-inscribed a former wall.